I'm from South Bend, Indiana but no, I'm not an Irish fan haha. I actually started riding just a few months ago. Probably late July 2012. It all started thanks to me hanging out with all of my BMX friends more over the summer at the Kitchen Skatepark. I felt drawn to the park, the people, and rush I got from riding so I went to a local bike shop and bought my first BMX bike. Toronto will definitely be my first competition. I am still at a really early stage of riding but I feel like going and riding will not only help me meet other awesome BMX chicks but help me grow as a rider. I'm looking forward to meeting both male and female riders from all over and having a great time and memorable experience in Canada. 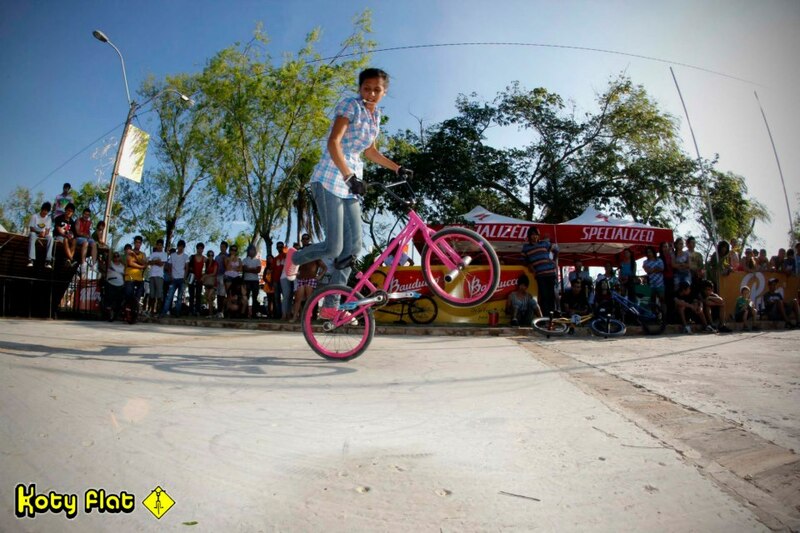 Meet our February flatland rider Jazmin Pintasilgo from Paraguay. We support her and you should too! Why do you ride flatland? Mainly because the truth is something I like very much, it became my lifestyle. For me it is more than a desire to show that woman can do this sport. I'm the first girl to ride flatland in my country, and the world of BMX changed my life. Today I love flatland and with the help of my friends always want to keep progressing in this beautiful sport. Keep riding! 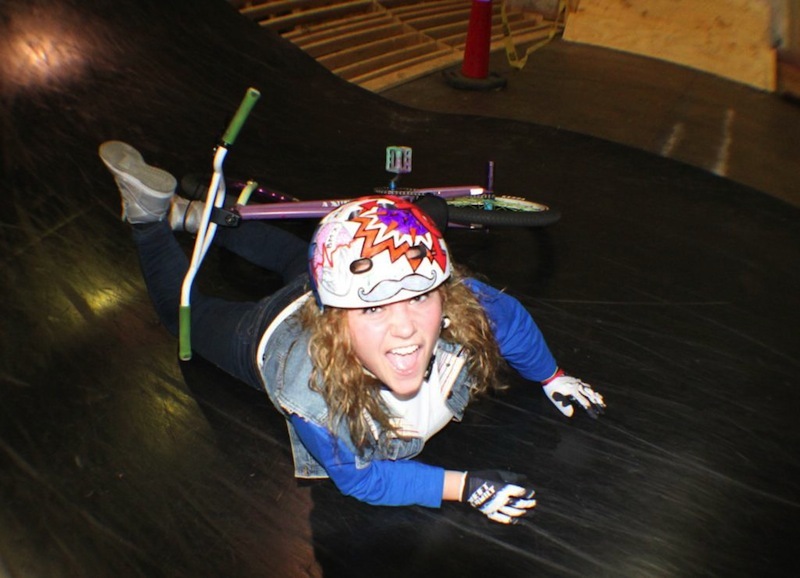 If you know a new female flatland rider or you ride flatland contact rebecca@magnoliabmx.org We want to share why we ride flatland with other ladies out there! If you are chosen for one or our monthly features you will receive a free shirt and sticker.